The Civic Memorial Eagles are regional baseball champions! The boys won an incredibly exciting game vs Waterloo on Saturday, and have now advanced to the Sectional Tournament. Here is some important information if you're heading to Salem this week to support the baseball team! If we win on Wednesday, the Eagles will play for the Sectional Championship on Saturday at 11:00am vs the winner of the game between Mascoutah and Salem. That game will be played at 6:00pm on Wednesday, May 31, 2017. Congratulations to our girls basketball team for winning the Class 3A Waterloo Sectional on Thursday night. The Eagles will now take on Rochester in the University of Illinois-Springfield Class 3A Super Sectional. Here is the place for all the information you need to get ready for Monday night's game! WHAT: IHSA Class 3A Super Sectional -- The winner of this game advances to State! WHERE: University of Illinois-Springfield, The Recreation and Athletic Center. Located on the south edge of campus, the state-of-the-art facility seats close to 3,000 fans and some seats have chairback seating. DIRECTIONS: Please go here for a link to the UIS website with directions. 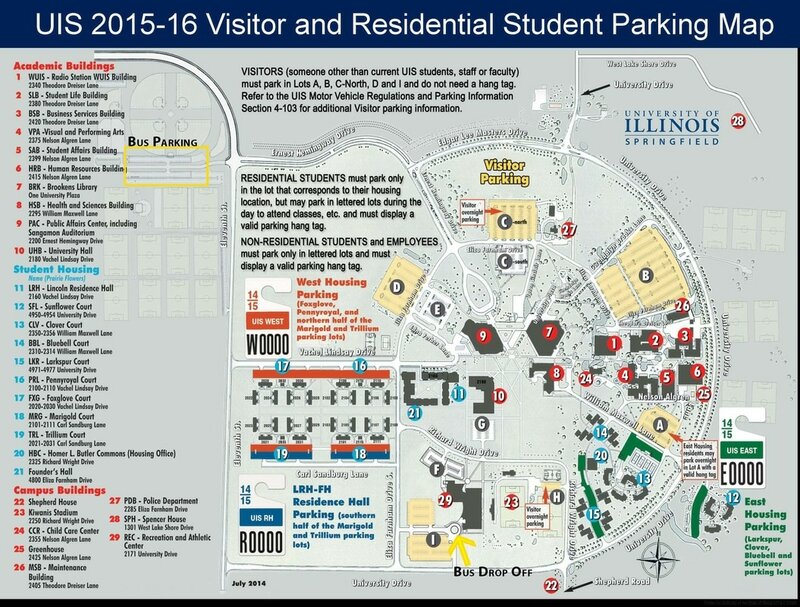 To see a Google Map of UIS and the RAC, please click here. WHEN: Monday, February 27, 2017. Game time is 7:00pm. Doors open at 6:00pm. TICKETS: Tickets will be sold in the UIS Athletic Office on Monday from 9:00am - 2:00pm. Tickets will also be sold at the door in the lobby of The Recreation and Athletic Center starting at 5:00pm on Monday. Doors to the Gym for seating will open at 6:00pm. MERCHANDISE: We have not been given any information about commemorative t-shirts or other Super Sectional items that may or may not be for sale at the Super Sectional game. STUDENT FAN BUS: We are planning to have a student fan bus. Details for students will be on the morning announcements on Monday. NEXT GAME: If we win on Monday night, the girls will advance to STATE! The state semifinal game will be on Friday, March 3rd at 12:45pm at Redbird Arena on the Campus of Illinois State University. The opponent will be the winner of Chicago Marshall vs. Antioch. The state 3rd place game will be on Saturday, March 4th at 11:00am. The state championship game will be on Saturday, March 4th at 12:45pm. Last week, Chris Hrabe and the KMOX Sports staff visited Civic Memorial High School to do a segment for their High School Spotlight. Thank you for Chris and the entire KMOX sports department for their focus on high school sports and their interest in our school. Saturday morning was the inaugural -- and first annual -- boys soccer alumni game. We had a fantastic turnout of former Eagle soccer players, along with legendary CM soccer coach Don Woelfel. Thank you to all of our alumni who came out to play and supported our current Eagles and to all the family and friends who watched the game. There were no injuries and great sportsmanship was displayed throughout the game. Below are photos of our alumni and a photo of our current and former Eagles. Thank you Amy Hale for the photos and Todd Hannaford for arranging the photo. We are pleased to announce the practice times, dates, and locations for all of our fall sports. Please note that as per IHSA guidelines, football can begin practice on August 8th, while all other sports are required to wait until August 10th for tryouts and first practices. If you have any questions, please contact your sport's head coach or the Athletic Department. Girls Golf Wed, August 10, Cloverleaf Golf course from 9am-11am. Girls Tennis: Practice Wednesday 8/10, 3:00-5:00 at the CM High School Tennis Courts. There will be a meeting for all girls interested in playing tennis this season on Wednesday, August 3, 2016, at Noon. The meeting will take place -- weather permitting -- at the tennis courts. If there is poor weather, the meeting will be in the gym. Please contact Coach Carmody if you have any questions at mcarmody@bethalto.org. Due to electrical upgrades being done to Civic Memorial High School, the girls volleyball camp scheduled for next week, beginning Monday 7/25, will be located in the New Gym at CM High School instead of the large gym. There are no changes to the dates or times. The athletic website is undergoing construction and remodeling. Team schedules will eventually appear under Teams/Schedules, but for now, fall schedules will be posted here, on the main page. Please remember, all dates and times are subject to change and changes will be reflected on the Google calendar and a Weekly Athletic Calendar (that will also be posted on the website) and will also be posted to Twitter.